Sheila Radziewicz is not just a self advocate, inspirational speaker, and author she also holds a B.A., as well as a M.A., in criminal justice! 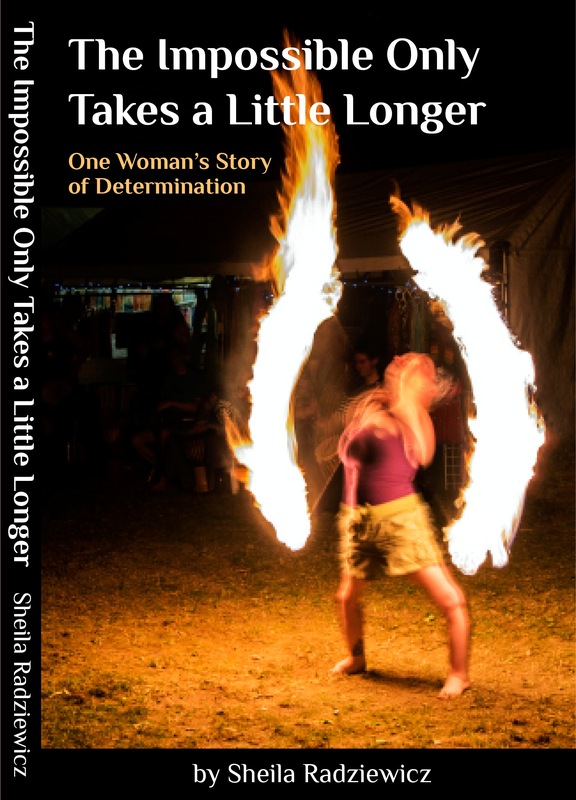 Sheila’s newly published book, “The Impossible Only Takes a Little Longer: One Woman’s Story of Determination”, is more than just a book. It is a message about ability. It is one example about how living with a disability can be amazing despite society’s challenges. One must purchase this book and experience her undaunted way of achieving so much despite the odds and obstacles society has put before her. This book makes the perfect gift to anyone you know. It is recommended for teachers as a means to educate about intolerance and differences. Her story is moving and inspiring, as she talks about her determination to succeed in an able-bodied world. “The Impossible Only Takes a Little Longer: One Woman’s Story of Determination” is a page turner and her story will remain with you always. Her unapologetic frankness will bring you both joy as well as sadness and you will find that her zest for life is contagious!